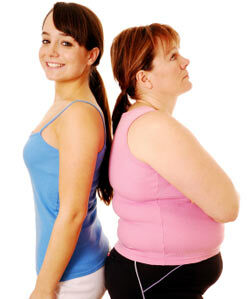 So you’ve been through the Virtual Gastric Band program and you’ve lost weight over the four sessions you had. We expect most people to lose 8 lbs over the four weeks and we like to see a steady loss that can be sustained over the months ahead until you reach your right size. Now some people lose that much weight in the first week and others after four weeks have shed 16-20 lbs. But typically 8 lbs is a good expectation to set and puts you on the path to 50 lbs weight loss in six months. Most people are happy with that figure as it represents quite a few dress sizes or trouser waist sizes less than in their current wardrobe. But getting from 8 lbs to 50 lbs loss is not a given – here’s how to stick to the plan. 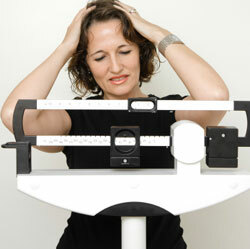 As soon as we think fat we have visions of weighing too much and not looking as good as we wish. What we often don’t think about is how our bodies store fat and why. Fat does have a purpose and it’s a good one. But when a person has too much fat on the body it can become a problem and eventual leads to obesity and major health problems. 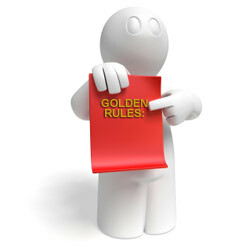 A simple explanation is fat is stored when our caloric intake on a routine basis exceeds our expenditure of calories. However, fat storing is a little more complicated in the real world as certain foods turn to sugar and fat more easily than others. Most weight loss programs fail because they over promise and don’t tackle all the elements for weight loss to be permanent. Weight loss plans can take different forms. Some are just diets while others are a combination of dieting and physical activity. Weight loss plans that promise you’ll lose 15 to 20 pounds in two weeks (or worse, in one week!) are unrealistic. While some plans can produce amazing results at end of first week of plan this is what I call the “gung-ho” effect and caused by being enthusiastic and totally compliant with the demands of the program. Then week two and three comes and life begins to get in the way and your resolve is tested and maybe you’re not quite so compliant.